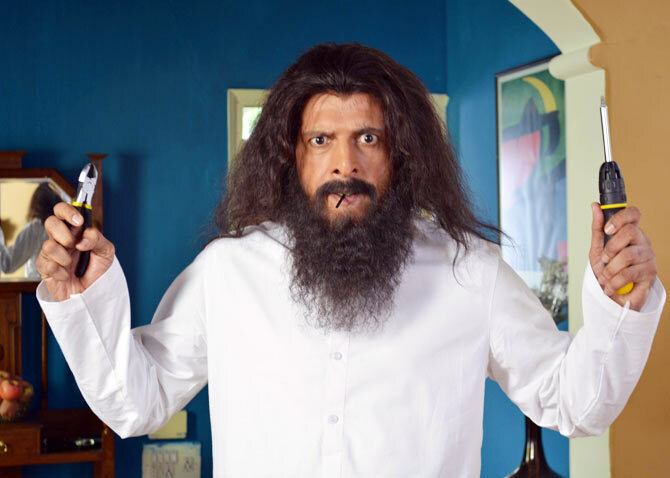 Rediff.com » Movies » Like Javed Jaffrey's SHOCKING avatars in Joe B Carvalho? VOTE! Like Javed Jaffrey's SHOCKING avatars in Joe B Carvalho? VOTE! In the upcoming comedy Mr Joe B Carvalho starring Arshad Warsi and Soha Ali Khan in lead roles, funnyman Javed Jaffrey dons seven different avatars. Here's a sneak peek into the actor's four avatars in the film. Vote for the look YOU like the best! 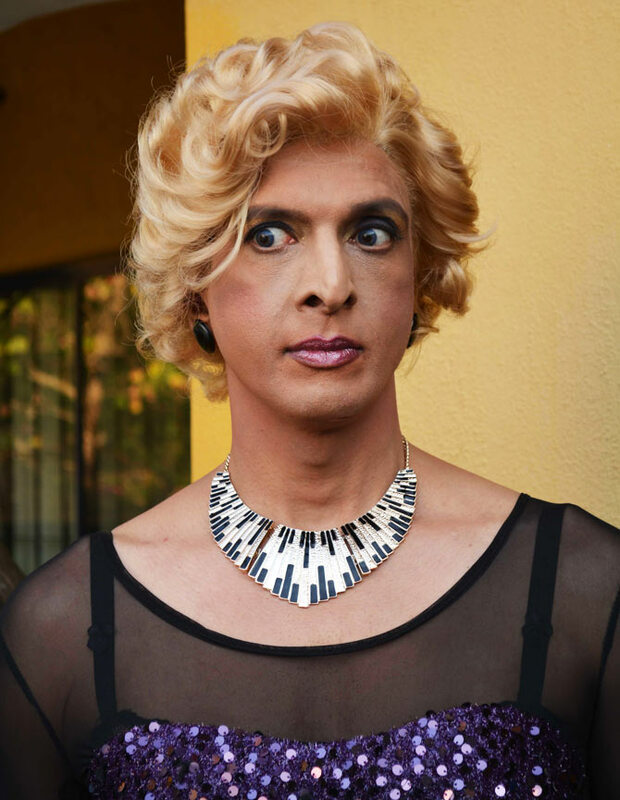 Revisiting his blonde days from Salaam Namaste, Javed -- who plays Carlos in the film -- appears in drag in the film. Like Javed's blonde look? VOTE! The actor-comedian strikes a goofy pose in an Indian attire and flaunts a fake but very real-looking cleavage. Like Javed's avatar in drag? VOTE! 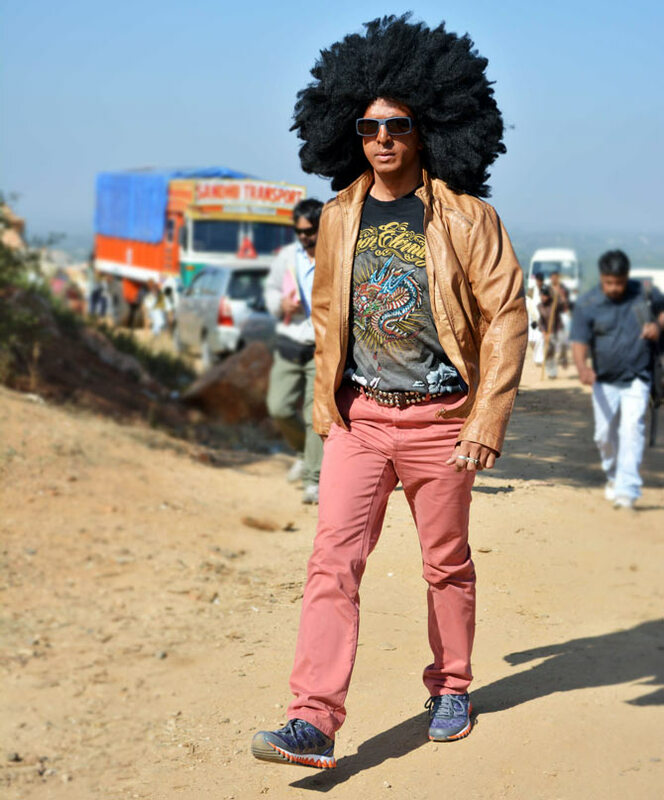 A giant afro has never failed to crack up Indian audiences. We can bet it's be a bigger laugh riot when it's perched on the head of a comic actor of Javed Jaffrey's calibre. Like Javed's cours-and-afro look? VOTE! And lastly, we have the 40-something actor presumably dressed as a godman, a fraud one we're guessing. But isn't that expression priceless? Like Javed's godman avatar? VOTE!